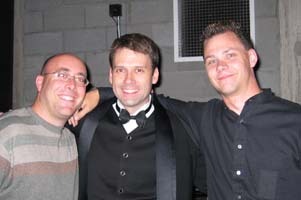 Dan Malone began recording for The Phoenix Symphony in 1998. At the time, working for Clear Cut Acoustic, Dan was tasked as first engineer, recording 20 performances from their classics series. With 15 yearly performances recorded at Phoenix Symphony Hall and 5 at Scottsdale Center for the arts, Dan has been able to learn the rooms and their special characteristics to capture the best sounds possible. Over the past several years The Phoenix Symphony has hired Dan and Mouse Recording to make recordings and prepare media for grants, tours and broadcasts. We have also had the distinct privilege of capturing The Phoenix Symphony and The Phoenix Symphony Choir’s annual performance of Handel’s Messiah. "The Phoenix Symphony has worked with Dan Malone at Mouse Recording on a number of projects over the past seasons and have been consistently pleased with the quality of his work, professionalism, and sensitivity to our budget. Given the increasing scope of recording and archiving our concerts and special projects, I would encourage you and Rachel to keep Dan’s company in mind when seeking to contract recording technicians.